SAS 9.4 Maintenance 5 includes new support for reading and writing GZIP files directly. GZIP files, usually found with a .gz file extension, are a different format than ZIP files. Although both are forms of compressed files, a GZIP file is usually a compressed copy of a single file, whereas a ZIP file is an "archive" -- a collection of files in a compressed virtual folder. GZIP tools are built into Unix/Linux platforms and are commonly used to save space when storing large text-based files that you're not ready to part with: log files, csv files, and more. The algorithm used to compress GZIP files performs especially well with text files, although you can technically GZIP any file that you want. If your file is in a binary format such as a SAS data set (sas7bdat) or Excel (XLS or XLSX), you probably will need to expand the file completely before reading it as data. These files are read using special drivers that don't process the bytes sequentially, so you need the entire file available on disk. Note: Because each GZIP file represents just one compressed file, the MEMBER= option doesn't apply. When dealing with ZIP file archives that contain multiple files, you could use the MEMBER= option on FILENAME ZIP to address a specific file that you want. My recent example about FINFO and file details relies heavily on that approach. However, the GZIP option and MEMBER= options are mutually exclusive. In that way, it's much simpler...just like its Unix shell equivalent. 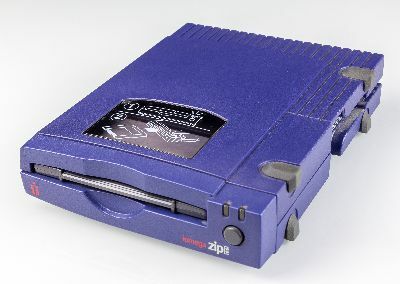 Yes, I do remember the Iomega zip drives. As much as storage capacity grows, so do our abilities to fill it up. Are other zip programs supported? Such as bz2 (.bz), xz (.xz), compress (.Z)? I could see how this could be useful in ODA since we have users that want to copy a large number of files from their home directory but SAS Studio only allows you to do one at a time. If they zip them first, that would let them grab their data in bulk...back up their EM projects, etc. hmmm, bet that would make a good blog post :-). Hey Galen, standard ZIP file archives are supported with FILENAME ZIP (read and write) and also ODS PACKAGE (write only) -- you can use either of those methods to create a single compressed archive from a collection of files. I've got plenty of blog posts on all of those methods. What is the advantage for a SAS dataset versus using an X command to accomplish the same? Portability (works the same on every system, regardless of operating system), and not every SAS environment is set up to allow X command. Most SAS Enterprise Guide and SAS Studio users don't have access to the operating system shell for commands. How about reading a gzipped dataset? like foo.sas7bdat.gz? I don't think SAS will be able to read a gzipped data set directly -- you need the entire file to be uncompressed and on disk. You would need to read the file as a binary stream and write it out to a temp file, and then point a SAS library at that. I have an example with a ZIP file that you can adapt. How can I adapt the "filename source" line up above to write a temporary sas7bdat file in my Work library to a permanent sas7bdat.gz file? Thanks! Here's an example that shows a "round trip" -- from data file, to GZ file, then expanded back to a sas7bdat. Dear Chris, thank you very much for your code. It works fine. However, I failed when I replace the sas7bdat.gz file with the file I need to work on. file. The output file must be a zip file. I appreciate your help very much if you could help me with this case. Here's a SAS program that breaks the problem down to the necessary steps. First step: downloads the file. Next step, assigns a FILENAME ZIP (GZIP) fileref to the downloaded file. Then a DATA step to copy its contents to a WORK data set. I have a variation of the gz zip that I am trying to resolve. My gz file contains many .tar files containing xml that I need to process individually. Using the solution shown above I get everything decompressed as a single file instead of the individual files structure that I need. Is there a solution for this? My understanding is that a gz file can contain just one entry -- it's a single file, compressed. But that could be a tar file, which is a "tarball" collection of several files together. So uncompressing these is a two step process. Use the FILENAME ZIP with GZIP to get the tarball (.tar file). Then (and I haven't tried this) you might be able to use FILENAME ZIP (not GZIP) to get to the individual tarball members. If not, you might need to use FILENAME PIPE (if you can) to untar the members.